This September marks the arrival of a new player in town: Le XVI XVI, the Roman numerals for 16 16. 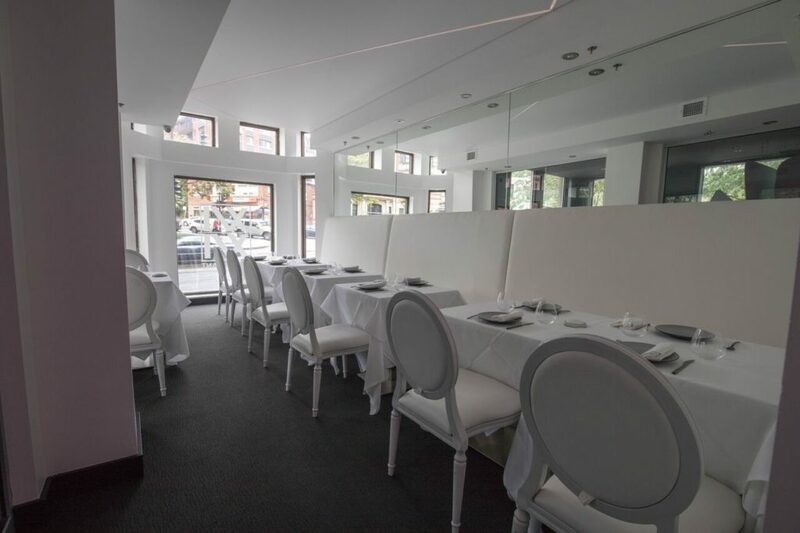 Located at 1616 Sherbrooke Street West, Restaurant Le XVI XVI puts your senses on centre stage as it offers a plethora of surprises for your palate and eyes to enjoy. Its most secret and enticing trait, however, is undoubtedly R1-B1, the robot-barman you will find on the lounge level. The finished product is the result of a design collaboration by Quebec-based FmdA Architecte & LHV design. The restaurant’s concept is twofold; off the main landing one can either go up a few steps to the main dining room which itself leads to a beautifully laid out terrace, or down another few steps to the lounge area, designed to put forth a contemporary feel with R1B1 at its core. 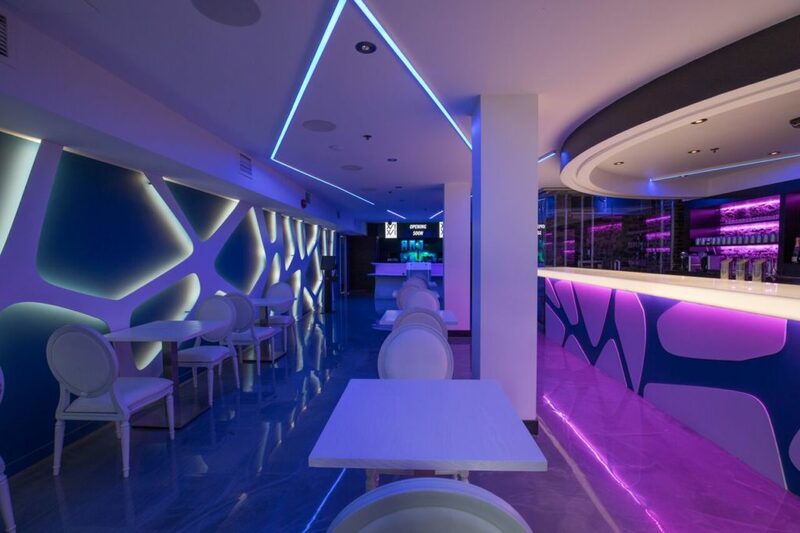 The multi-floor establishment comprises a dinning room for 75 and a terrace for 60, whereas the lounge level offers enough space for a party of up to 120 people. Allowing a local twist to the world-renowned French culinary art is how best to describe the way Le XVI XVI has chosen to design its menu. 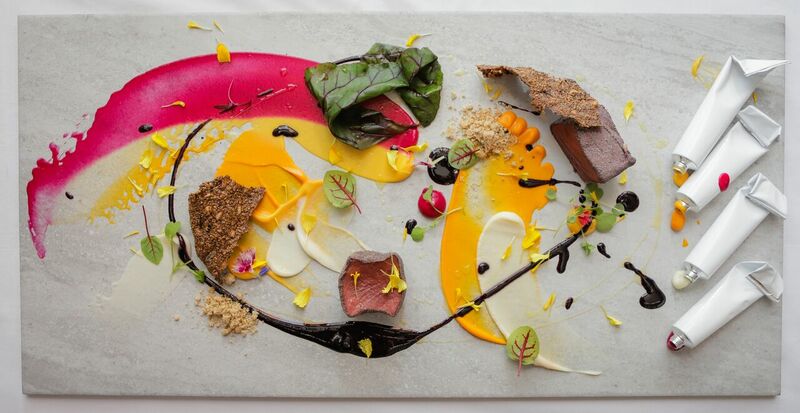 Though staying true to its French gastronomic roots, Le XVI XVI proposes an abounding number of unique creations, both delectable and audacious, made from the best of what Quebec farmers and their land can offer. 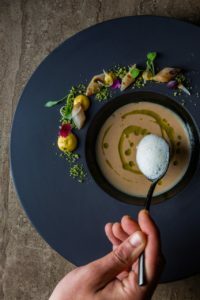 The French chef Joris Larigaldie, whose talent and creativity need no introduction, was trained between continents, in Michelin starred and Relais & Châteaux establishments throughout France and Canada such as Manoir Hovey et Ripplecove. Innovative methods will be put forth through live cooking shows, where clients will witness their food being prepared with unusual cooking techniques, such as an inverted cooking surface. “Culinary art is in constant evolution especially with the perpetual arrival of new technologies” explains Cédric Moindrot, consultant Artistic Director for Le XVI XVI. The cocktails menu will be the creation of star barman at Montreal speakeasy Le 4e Mur, Alexis Taoufiq, the youngest mixologist ever awarded the title Meilleur ouvrier de France. Cédric’s focus throughout the process, was to create a restaurant where the client experience is based on new technologies and following the latest tech trends. 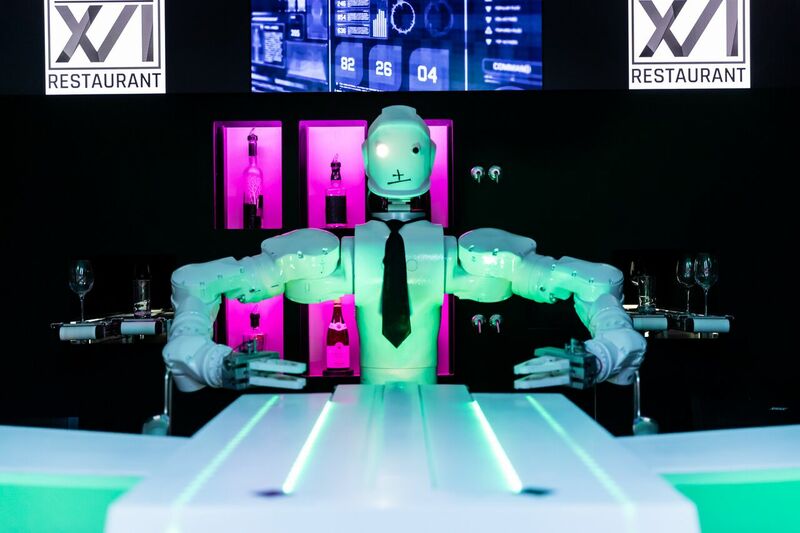 It took Cédric a little over a year to conceive a robot named R1B1 (Robot 1 – Barman 1), able not only to serve drinks to clients but also to interact with them. 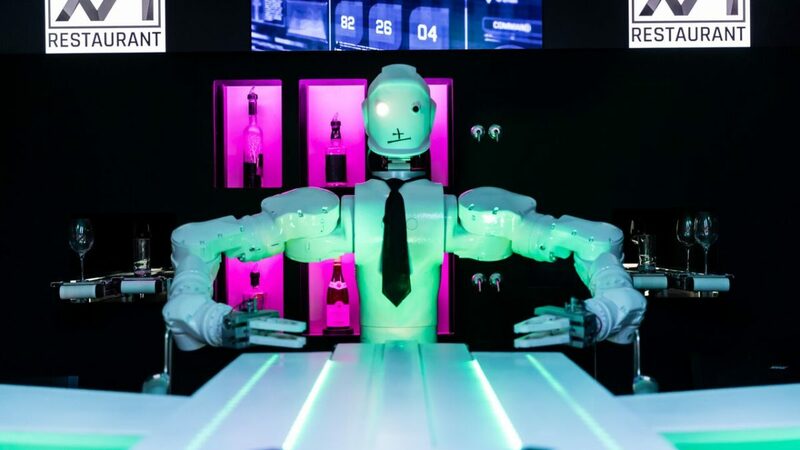 It is the only interactive robot-barman in the world. You can see him in action and actually hear his voice and jokes in this video! “Pop”, another interactive tech concept found at Le XVI XVI on each individual table will permit clients to connect their phones from which they will be able to call the waiter, advise the jockey to get their car ready or leave a comment, all done without downloading an app! Le XVI XVI will be inaugurating this concept as the first in Montreal to have it. 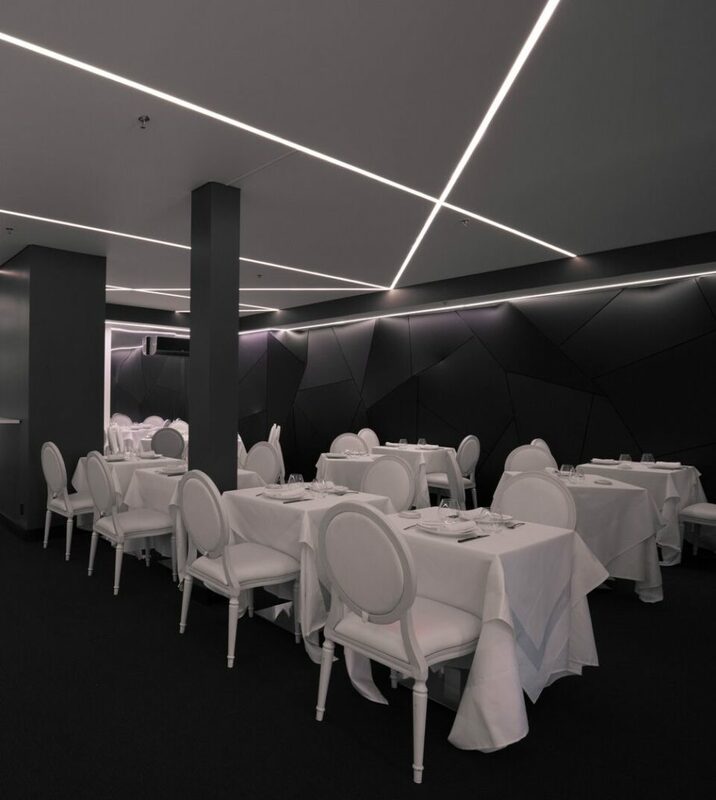 The next few months also hold their share of surprises as Le XVI XVI will unveil another unique concept in North America: Le 16 motion, a room dedicated to a fully immersive culinary experience. Only available for a dozen patrons at once, the concept promises to take participants on a gastronomic voyage during which all five senses will be solicited. Fifteen years of experience as an entrepreneur in France have led Cédric Moindrot to artistically direct this project as a consultant. In France, he is the owner and founder of Le Traiteur du Marais in Paris many of whose clients, such as Le Cirque du Soleil, are world renowned. Cédric, wanted to develop a concept where French culinary tradition met today’s innovative tech possibilities in an experiential setting. In 2016, as he visited Montreal, he took notice of the booming tech industry in the city. A year later, in 2017, he decided to move to Montreal, a city where he noted people were very open to new things and vehemently attached to their food scene. This set Montreal as the evident choice to host his project. Le XVI XVI will be participating in this year’s edition of MTLàTABLE and Golden Montreal Restaurant Week.